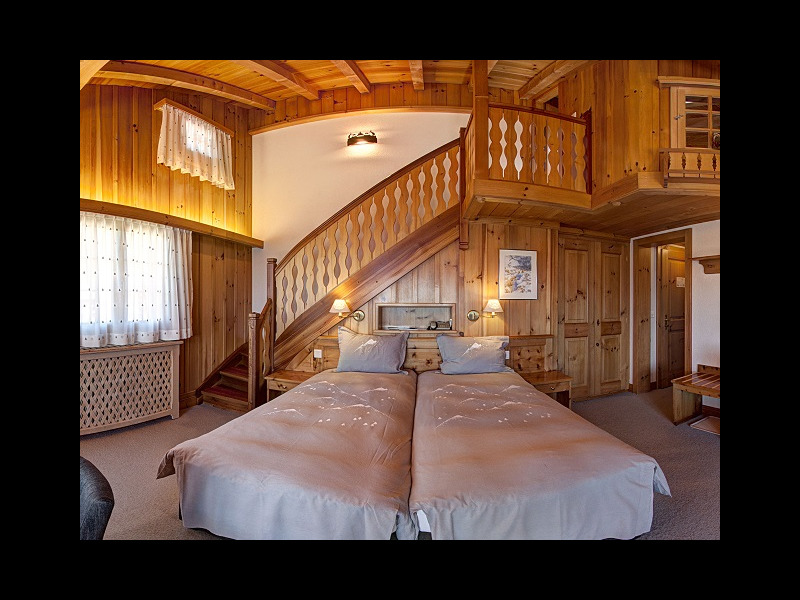 A two bedroom Chalet Residence located on the side of the hotel. 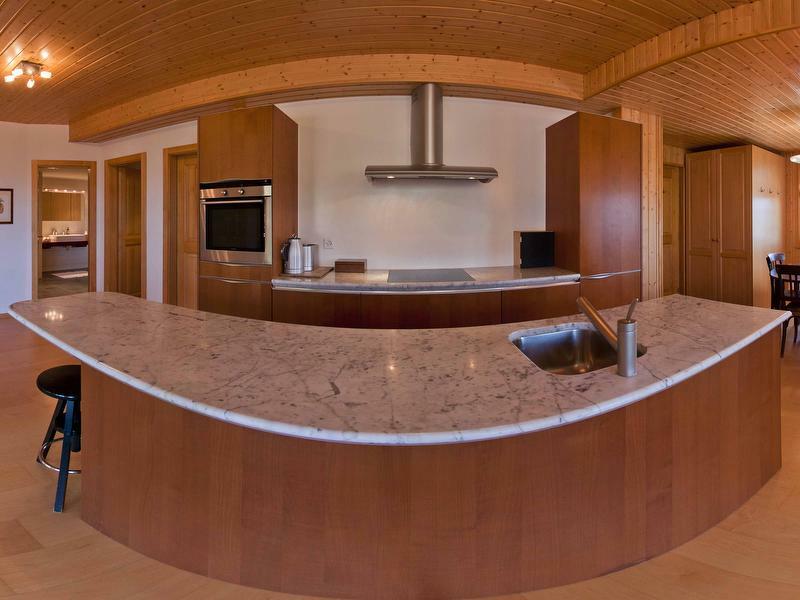 Kitchen open to the living room - Bathroom with bath tub and shower - Separated toilets - Panoramic view the Alps. Please note that the price is for occupancy of 2 guests. The nightly rate will modify should you are more than 2 guests. 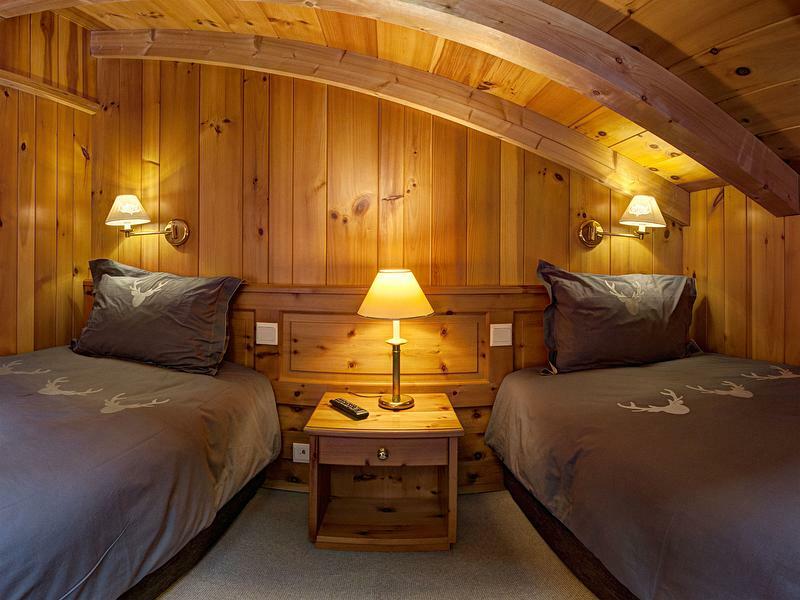 Discover the charm and comfort of a true mountain chalet replicated within your own bedroom. These suites have a mezzanine room with 2 beds which is truly ideal if you are travelling with children. 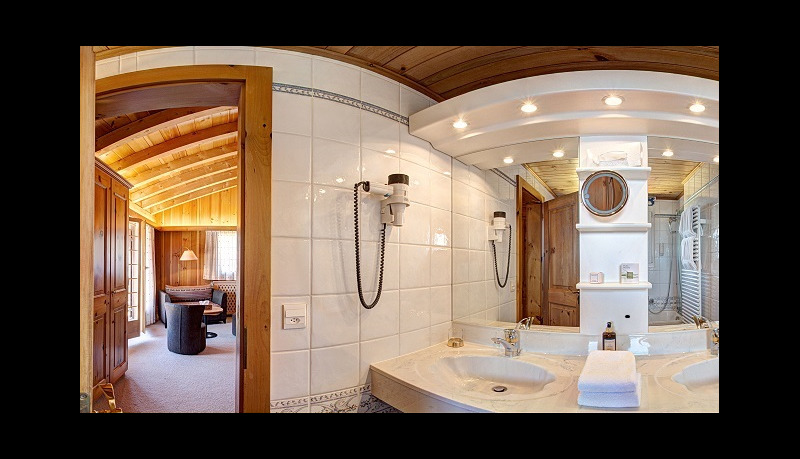 Large Balcony with view on the Alps or the heart of the resort - Bathroom with bath tub/shower - Separate toilets. 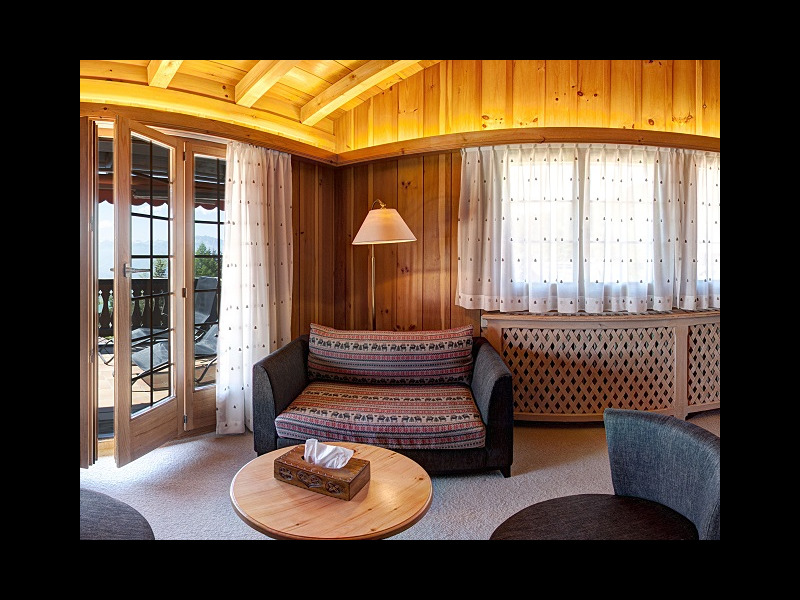 Situated in the very heart of the resort of Villars-sur-Ollon, the Alpe Fleurie offers an authentic warm and wooden atmosphere throughout your stay. 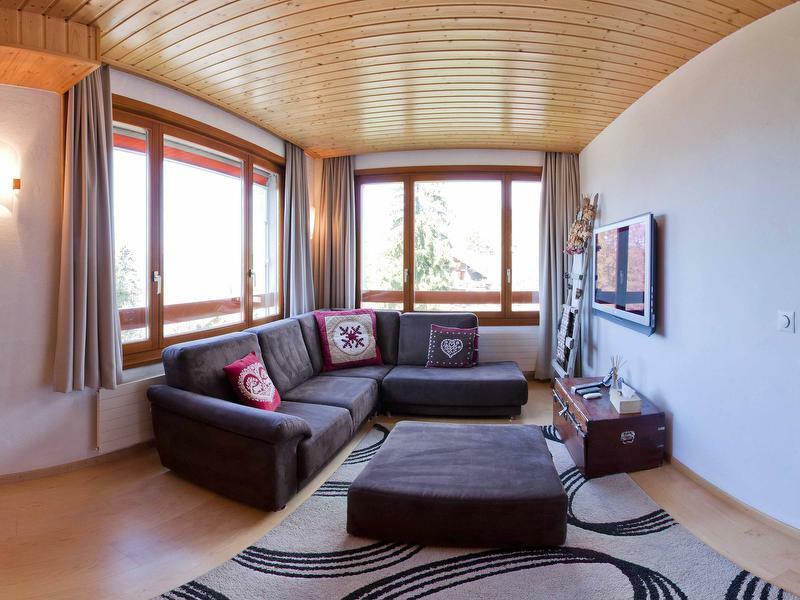 Make the most of a breathtaking view of the Alps and direct access for skiing, snow shoeing, cross country and all resort activities. 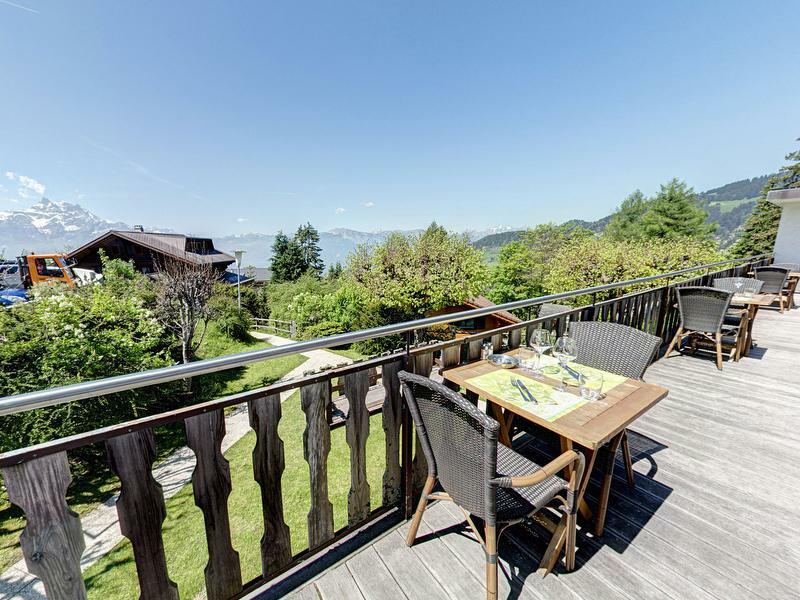 Restaurant with a central bar, lounge area and large terrace facing the Alps (French cuisine and regional specialties). Family rooms / Free Wi-Fi Internet access for our guests / Pets Welcome / Outside parking free and garage 16.- / Advantage card for cultural and sport centres of the region.